Cloud Foundry and Pivotal sponsored this podcast. For many, it is hard to believe that Cloud Foundry has existed for more than a decade after it was founded in 2008. Since its beginning, it certainly has more than established itself as a platform as a service (PaaS) of choice for developing, deploying and scaling open source applications. It has also certainly played a role in the growing momentum in the adoption of Kubernetes, microservices, cloud native and other new technologies as well as many other open source tools that continue to help transform DevOps practices. 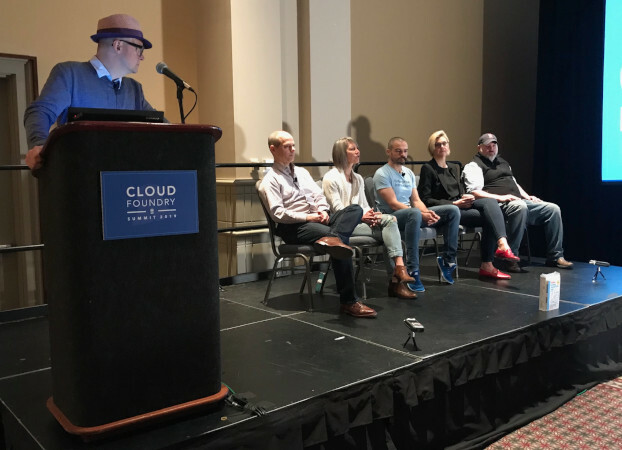 In this episode of The New Stack Analysts podcast, we recorded a panel discussion held during our pancake breakfast at Cloud Foundry Summit North America earlier this month in Philadelphia with Cloud Foundry as the featured topic. Stephen O’Grady, an analyst for Redmonk. Davis opened the discussion by describing how Pivotal was “largely behind the original Cloud Foundry and you will see at this conference that our customers have been hugely successful with Cloud Foundry, with the open source and with our commercial distribution as well. “And that has been kind of our flagship product for the last four, five and six years — we just turned six two or three days ago and you’ll see those stories of success all over the conference. When Kearns started working with Cloud Foundry, she said she had to “spend a lot of time explaining what a Platform as a Service was, what containers were and you spent a lot of time explaining how the things work,” Kearns said. Jones said that, as of late, he has observed an emergence of cultural growing pains when organizations opt to shift to Kubernetes. “All of a sudden, people are getting very distracted with the hamster wheel of changing VMs for containers and not necessarily with an eye on the value,” Jones said.